That Time I Got Reincarnated as a Slime (Tensei Shitara Slime Datta Ken), also known as TenSura for short, is a mixed-media franchise based on a self-published web novel by Fuse. The novel was then picked up by a publishing company and run in Micro Magazine. A manga adaptation of the story was created by Taiki Kawakami and published by Kodansha. There are also spin-off works in the franchise. 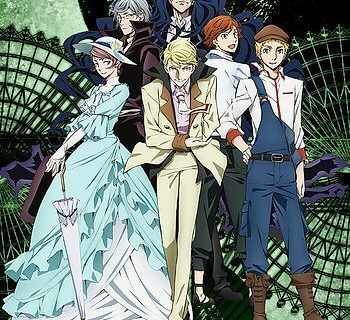 An anime adaptation of the manga began airing in October 2018 and became one of the most popular shows of the season. The series starts when a competent and well-liked office worker named Satoru Mikami is unexpectedly stabbed to death in the street during a random attack and then reincarnates in another world as a slime. The first being he meets in this new world is a Storm Dragon named Veldora Tempest. 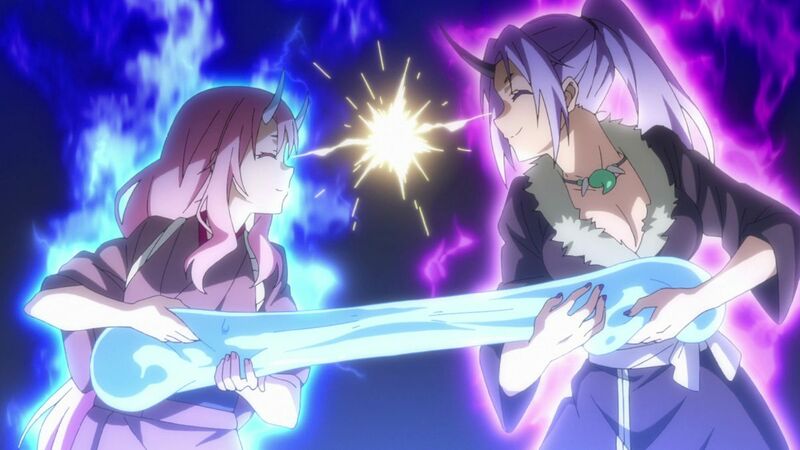 After they become friends, the dragon gives the slime a new name- Rimuru. 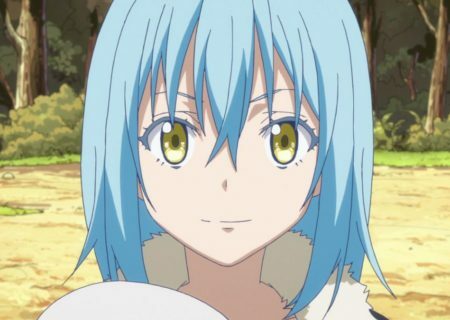 Rimuru’s new life as a slime has begun. Together with his comrades, Rimuru builds a nation of monsters where various monsters live together with the aid of his comrades who rely on him as the ruler of the nation. MANGA.TOKYO met up with series producer Nobuaki Sugimoto on 15 February 2019 to talk about the anime adaptation and ask him questions sent by our readers. ricardo_rodri_v asks: How long did it take you to make the anime starting from the initial idea? I think it started around 2016. Volume 1 and 2 of the manga series had been published at that time. I read them and thought they were really interesting, so Kodansha and I started talking about doing an anime adaptation soon afterwards. Could you tell us the reason why it was made to air over two cours? The web novel had already concluded, and the light novel was ahead of the manga series. This meant we already knew how the story would develop and couldn’t find a place to have it finish naturally in just one cour [i.e. 12 episodes]. That’s the main reason. Additionally, we had a feeling that the anime adaptation would become popular, so we thought it would be better to show more than one cour. Although I guess I can say that now with the benefit of hindsight. As you expected, it became a popular show. I’m glad that viewers seem to have enjoyed the anime. 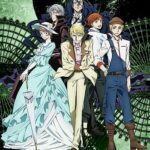 Did you have any problems adapting the series into anime? Although I knew where in the story the most interesting parts were, I had to start from the very beginning. It was difficult for me to decide in which episodes to place intense storylines and also how far we should go in the worldbuilding. That’s another reason why the anime was made for 2 cours. 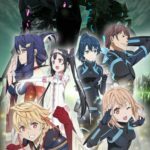 Did you find it difficult to create an anime with fewer battle scenes? Well, I told my company that the anime surely has battle scenes [laugh]. I believe the best part of the story is not the battle scenes but creating a nation and making friends. Isekai (other world) anime nowadays increasingly place importance on battle scenes. However, I thought that I could make an isekai anime based on its story. I wasn’t really worried about it. Is there anything you struggled with? The beginning of Episode 1 was quite a challenge. There’s this scene when Satoru wakes up but can’t see anything because he’s a slime. It’s easy in a novel to just write that he can’t see anything. Even in manga, you can have mostly-black panels with some dialogue. However, we can’t really air anime that consists of entirely black shots or viewers might think there is something wrong with their TV [laugh]. The script was finalized without a hitch but creating the scene itself took quite a while. I didn’t know at all how we could visualize the scene, so I left the job to director Yasuhito Kikuchi. [laugh] The result was much better than I expected. What did you focus on the most when adapting the story to anime? It can be said that TenSura has three different stories. The web novel on the Shosetsuka ni Narou website, the light novel series, and the manga series all develop in different ways. Fuse, the original creator, allows us to explore different roads as long as the story is loosely the same. We didn’t focus too much on adapting the manga and light novel faithfully, and focused more on how the anime could entertain viewers. People who have watched the anime can enjoy the manga all over again and vice versa. Of course, people can also enjoy the anime without ever reading the novel or manga. I wanted to make an anime that can complement the other media versions. Additionally, although there are millions of anime on the market, I was thinking that I wanted to make an anime that could clear our minds. I suppose you can’t build a nation absentmindedly. That’s correct. However, what Rimuru thinks is fundamentally same throughout. 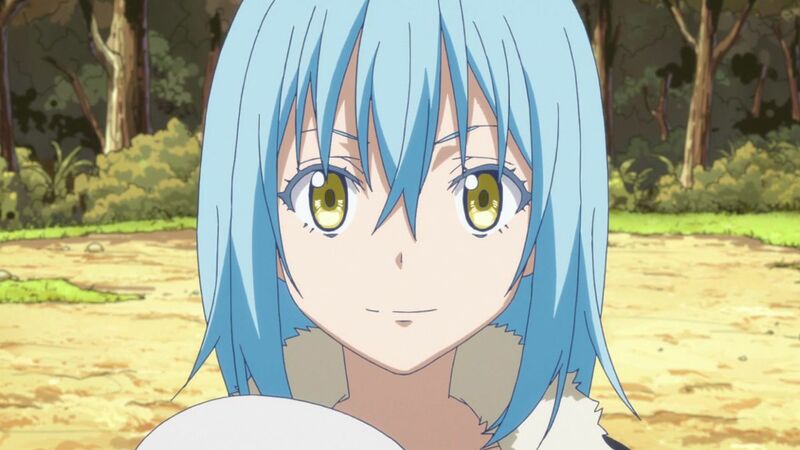 I think viewers can relax while watching the anime because Rimuru just wants to have a good time with his friends. It also makes viewers feel better because most of the characters have good personalities. You must have spent considerable time thinking about the movement of the slime. I wish I could say that. 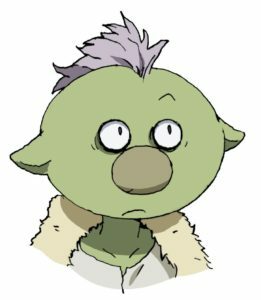 Takahiro Kishida, who was responsible for the monster designs, actually just drew two character design boards for the slime, and that’s it. There are about 20 varieties of the slime and animators drew it based on the boards without restrictions, adding their own ideas to it. One of them came up with the idea of having a question mark or an exclamation mark coming out from the slime’s body. 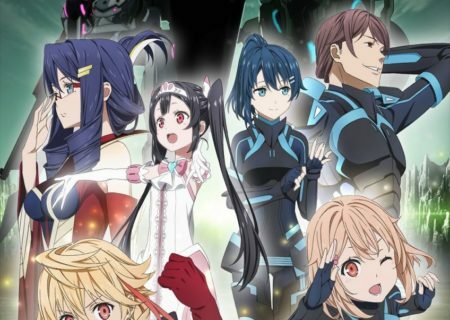 There are many creators involved in Tensura, including the original creator Fuse, the manga author Kawakami, and other creators who made spin-offs. According to the editor, each creator gave different movements to the slime. It bounces up and down, slithers slowly, makes a sticky jump and so on. Our animators also gave it a variety of movements. We once had a discussion during a script meeting about whether the slime slithers or jumps. We realized that if the slime were to slither, there wouldn’t be all that much movement in the anime. So we decided that the slime can jump. We also struggled a lot of with the composition. Because the slime is down on the ground, other characters have to look down when talking to it. This meant that we had to be creative to compose scenes in different ways, such as having the slime stay on a rock or jump around when someone approaches. Please watch carefully so you can see what I mean. Rimuru is often carried by female characters from the second half onwards. The biggest question from overseas is if there will be a next season of TenSura. I myself love the anime, so I hope it to continue. It depends on how much support we can get from fans. Benjamin Wong Chue Jie asks: What kind of monsters or species would you like to be reincarnated as? I’ve never thought about that. Well, I would love to be reincarnated as a flying monster like a dragon. risa2011 asks: I love this anime. How did you decide you wanted to be a producer for anime? Personally, I’m not a good illustrator or storyteller. I would say that I hardly have any special talents. However, the essential skills needed to be a producer is to be able to gather talented staff members and manage them. In short, the skills to take care of or speak to other people. These skills aren’t something you are born with, but can be obtained by learning. When I thought about joining an anime production team, being a producer was the only option which didn’t require a special talent. cloyi_made asks: Did you expect the show to become this popular? It’s nothing new, but I think it’s important to believe your own intuition. I believe that something that interests me would be able to catch other people’s interest as well. I also value anime which can simply entertain viewers without making them think too much. Our lives aren’t easy these days, so I think it’s important to have forms of entertainment that just let us have fun. I know people enjoy watching anime works that make them think or introduce them to a darker world. However, I think the secret behind the popularity of anime is to make viewers feel refreshed after watching them. TenSura had the possibility to be one such anime. The characters get on well with each other even after a fierce battle. The story is simple and flows smoothly. Rimuru can be way too strong, but others become friends with him for a reason. I think it makes viewers feel good. There are no evil characters, so no evil is punished in the anime. However, the darker side of the story gradually develops. I’d like viewers to enjoy this aspect as well. sherlocket: Who’s your favorite character from the series and why? I like Milim. She has amazing powers which could destroy the whole story because she could dominate the world single-handedly. She is independent and I find it pretty thrilling. That’s the kind of character I love most. I feel the series featured Shizu the most. That’s right. I suppose many viewers have already noticed that the series was developed as the ‘Shizu arc’. The production team including myself insisted on featuring Shizu in the series. I’m glad they listened to us. Although she doesn’t appear all that frequently, she is an important person who gave Satoru a purpose to live in his new world. I felt that we needed to depict this thoroughly. Centering on her made it easy to wrap up the story nicely as well. In fact, we originally planned to include further developments in the series, but we realized that if we did so, we’d only be able to manage to depict the surface of the story. We came to the conclusion that it would be better to dig deeper into one established theme instead. Do you have a formula to create works that can hold viewers’ interest? That’s the biggest challenge for me and I haven’t found the best formula yet. I try to add a single hook to catch the viewers’ attention in one episode. As for this series, I tried to settle things within a couple of episodes because I don’t want viewers to have to mull on mysteries for a long time. Regarding the scenes of building a nation, we tried not to go into too much detail like the novel does, because it could mess up the flow of the anime. Instead, we tried to reduce it and show the details in a visual manner, then leave the rest to the viewers’ imagination. It’s actually quite an important process in making anime. What part do you think you did better than you thought when the work was in production? People who like TenSura naturally ended up involved in the production team and as our business partners. I think that’s the best part. Fuse has built especially good relationships with Yasuhito Kikuchi (the anime’s director) and Kazuyuki Fudeyasu (the series compositor). This enabled us to have a smooth production process. Everyone could focus on making the series more fun thanks to this smooth operation. It helped us do a good job right to the end. What part do you want viewers to pay particular attention to? There are many scenes where our animators were particular about in the series. For instance, they made the effort to depict insignificant movements like fixing their clothes before sitting or adding movements which don’t affect the story on the whole. I’d be happy if viewers could find and enjoy these scenes. Could you give a final message to our readers? 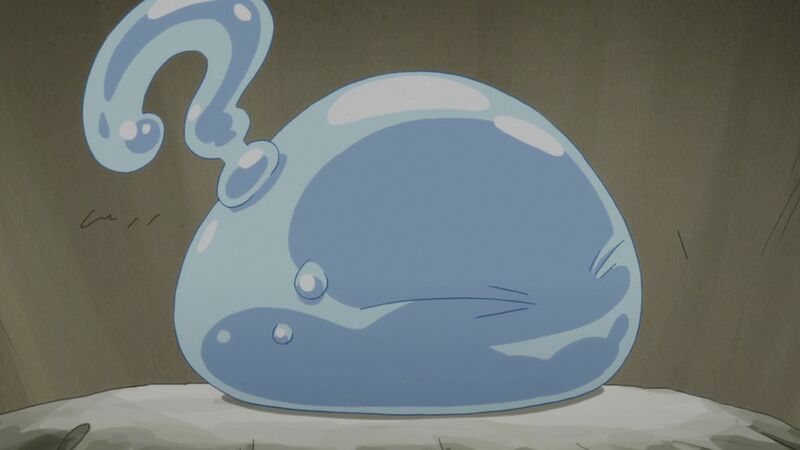 Viewers who have already read the novel will be aware that the anime series just scratches the surface of That Time I Was Reincarnated as a Slime. I personally want to watch how the story continues as an anime. I hope you enjoy the series and watch it again to discover many things you might like. I truly appreciate your support. Sugimoto was born in 1987 in Kanagawa prefecture and joined BANDAI NAMCO Arts in 2011. He has produced various anime works, including That Time I Got Reincarnated as a Slime and A.I.C.O. Incarnation. Read more interviews with your favorite anime cast and staff.